THEBUZZ (May 15, 2016) | Connecting with You! Reading about the wonderful things that the Spirit did through those first Christians, you may wonder how this works for us today. Now, I know for some readers a big red flag went up inside and you immediately considered ‘unfollowing’ this! Believe me, I understand. For years I considered ‘tongue talkers’ heretics – at worst, the enemies of Christ and at best the most deceived people on the planet. I am so grateful for my Baptist/Evangelical upbringing and wouldn’t trade it for the world. No one told a Bible story or missionary story better than my mother, and no one I ever knew had a greater compassion for people than my father. My search for the greater fulness of God started when I was a teenager and my dad handed a little booklet titled, How Great Soul Winners Were Filled with the Holy Spirit by Dr John Rice. It was small in size and page number. On the cover were the faces of great men of God like R A Torrey, D L Moody, and Charles Finney. Inside, Dr Rice wrote how each man had a great encounter with the power of God – sometime after their born again experience. I was so against speaking in tongues as a teenager that I sincerely worried that my father was going off the deep end. But with names like Moody, Finney and Torrey, how could I argue? I must have read that book three times while still helping my parents with their inner city church and three more times in a prayer room at Liberty Baptist College (now Liberty University). ‘Why don’t you pray for the people?’ Moody would ask. ‘Because you need the power of the Spirit,’ they would say. Longing for fire or satisfied with fume? Do you feel that way today? Is there a hunger inside of you for the Holy Spirit to fill you with his mighty power from on high? I was! I was surely hungry as a teenager. I’d led hundreds of children to Jesus in my teen years both at an inner city camp and at an inner city church. I loved God and I loved people, but at times I was ministering on ‘fumes.’ I tried to imagine how my life and ministry to the children in York City might change if I was ‘endued with power from on high’ like D L Moody. Are you hungry for more? Cry out to God as did D L Moody and countless others that God has used mightily. Seek him! You will find him and his glorious power that will enable you too to serve Jesus – however he wishes to engage you in the kingdom. Like young women everywhere, Mei Lin longs for an education, a career—even love. But the system she lives in doesn’t tolerate religious belief, and Mei Lin’s faith is as profound as it is simple. Must she abandon her beliefs to have the life she’s dreamed of? This Catherine Marshall Christy Award of Excellence in 2003 will linger in the mind long after the last page has been read. WORLDWIDE PENTECOST SUNDAY CELEBRATION TODAY! Churches both Pentecostal and mainstream celebrate the fulfilment of Jesus’ Luke 24:49 promise. In traditional ways or pentecostal expectant supernatural visitations, many will be remembering the coming of the Holy Spirit as detailed in Acts 2. It was a joyous time when that prayer group of 120 believers ‘tarried’ as Jesus had directed. A new day began! 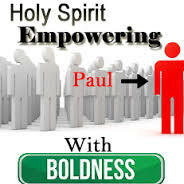 God was worshipped in new tongues (glossolalia) and the great harvest unleashed (and is still going on https://connectingwithyou.net/2016/05/11/the-pentecost-harvest-that-has-continued-for-over-2000-years/). No doubt some great old Holy Spirit-centred hymns – such as Dr Edward Hatch’s Breathe on me, breath of God (1886) and Chris Tomlin’s Holy Spirit Fall (2011) type modern choruses – will be echo around churches today. And that recalls the fact that Christians of every denomination who love Jesus have something to sing about! 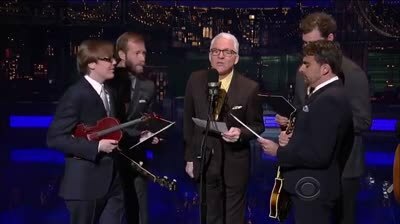 Unlike atheists who – as comedian Steve Martin, along with the Steep Canyon Rangers suggest – have nothing to sing about… . https://www.youtube.com/watch?v=xmwAD7nHqaY/#q=atheist+don’t+have+no+songs. Today St John’s Anglican held a Pentecost Sunday that was indeed quite different! Not only was there a mixture of hymns and choruses of the type mentioned above, and meaningful appreciation given to God for sending his Holy Spirit as highlighted in Acts 2, but the service was centred on prayer! c) Speech – declaring the wonders of God in other languages. c) What are we to make of it – God had given his Spirit)! a) The kindness of God – After salvation, what is the best thing God could give us? b) The mission of God – to/for all people (‘Everyone who calls on the name of the Lord will be saved’ v21). c) The mission of God – through all / any people. When asked at different intervals to lift up different prayer points, attendees and visitors didn’t hesitate to join other around, promptly and earnestly praying for our nation in general, the church itself and the world at large for which Christ died for. Like the prayer meeting of Acts 2, this too was a different Pentecost Sunday indeed. Dan Wooding, ASSIST founder/director, reports: On May 7 after a bitter battle, Sadiq Khan, the son of a Pakistan-born bus driver, became London’s first Muslim mayor, beating a Conservative challenger who attempted to link him to extremism and securing a much-needed win for his opposition Labour Party. According to Reuters, Khan’s victory, which also makes him the first Muslim to head a major Western capital, was confirmed shortly after midnight inside London’s futuristic glass and steel city hall following a day of mixed news for Labour in elections elsewhere in the country. The big prize was the London mayor vote, which pitted Khan (45) who grew up in public housing in inner city London, against Conservative Zac Goldsmith (41) the son of a billionaire financier. Khan (left – AFP/Getty Images) had a 13.6 percent margin of victory over Goldsmith, the widest in a London mayoral election in 16 years, showing that an acrimonious campaign marred by accusations that Khan had links to extremists, and charges of antisemitism within Labour ranks, had failed to deter his voters. A BBC Radio 4 Today report mentioned that the new mayor did not have a privileged start in life. He was one of eight children born to Pakistani immigrants, a bus driver and a seamstress, on a south London housing estate. From an early age, he showed a firm resolve to defy the odds in order to win success for himself and the causes important to him. That resolve has won him the biggest personal mandate in the UK, a job with wide-ranging powers over London and with enormous emotional significance for him.